Señora Duran is an Avon representative and sells other health and beauty products. She has been in business for seven year. She buys and resells products with approximately a 40% commission. She generally sells for cash but has a few clients on credit. 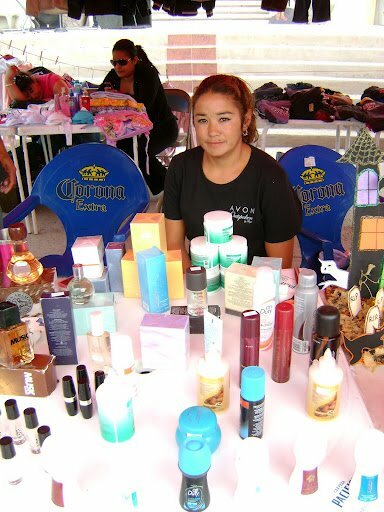 She borrowed 3,500 pesos (about US$290) in July, 2011 to expand her business. Her markup on the additional sales from borrowed funds allows her to make an extra 1,400 pesos (US$117) every time she sell and collects – approximately every week. She has four children. This business allows her to work from home. Her husband has an iron work business. She learned about EnComun (an charitable microcredit organization supported by ProMex Group) from friends and family. She thinks the borrowing process is good and interest rates are reasonable.